Zoo: Omnivore biscuits, various kinds of fruit, hard-boiled eggs. Long, shaggy black hair covers the body, often with a white chevron on the chest. The muzzle is white, ending in thick, rubbery lips. Claws are long and strong for tearing apart rotting vegetation, digging and climbing. Legend has is that original descriptions resulted in classifying this animal as a ‘bear sloth’. It wasn’t until the 1800’s that this misnomer was corrected when a live animal arrived in Europe, causing scientists to switch the name to sloth bear. Sloth Bears are extremely vocal with a wide range of sounds, including roars, squeals, yelps, huffs, rattles and gurgles. Often these sounds can be heard for quite a distance. To obtain the insects this bear loves, it digs open a termite mound with it’s claws, blows away the dirt particles, pushes it’s snout against the hole and ‘vacuums’ up the insects. 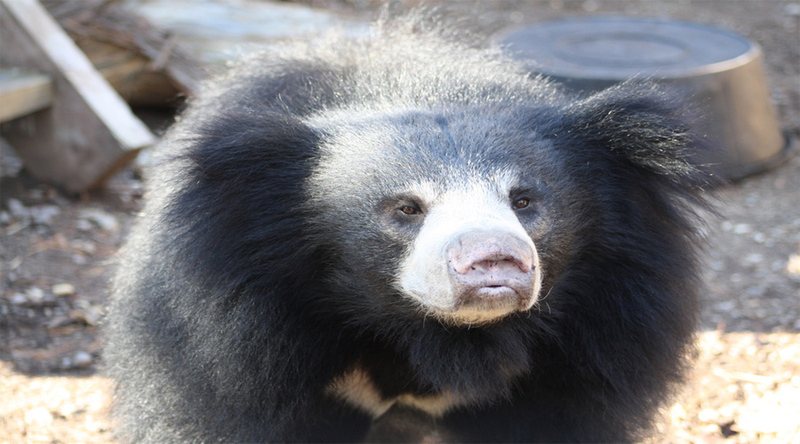 To keep its sensitive nose from being bitten, sloth bears close their nostrils using nose flaps. Because Sloth Bears do not see or hear well, they are easily surprised when engaged in some activity. They can be fierce and belligerent when angered, surprised, or defending cubs. Unwitting encounters with humans often result in serious maulings. Due to the increased rate of deforestation in the Sloth Bear’s home range, populations are decreasing. 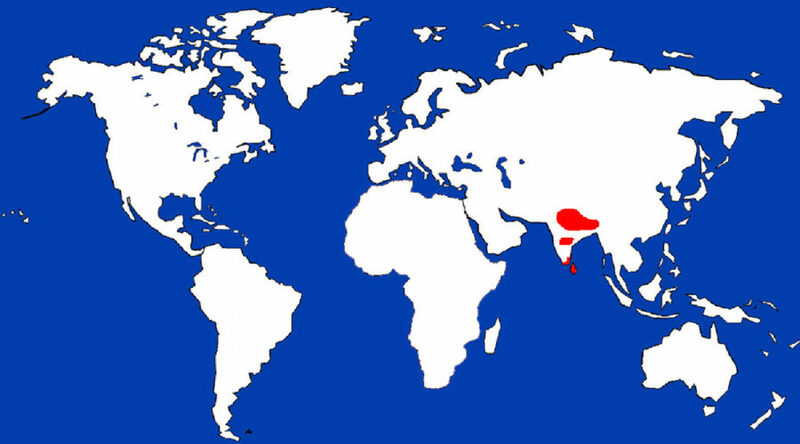 At this time, there are probably less than 5,000 Sloth Bears left in the world. Mating season occurs in May, June and July. Pairs will come together and share company for a couple of days before going separate ways. The female is the sole ‘provider’ for cubs. Cubs are born in a den the mother digs. Neither mother nor cubs leave the den for several weeks to three months following birth. Once the cubs are ready to leave the den, they are carried on their mother’s back clinging to the long hair of this species. Cubs may stay with their mother until 3 years of age. In order to safely study Sloth Bears in the wild, researchers use elephants!